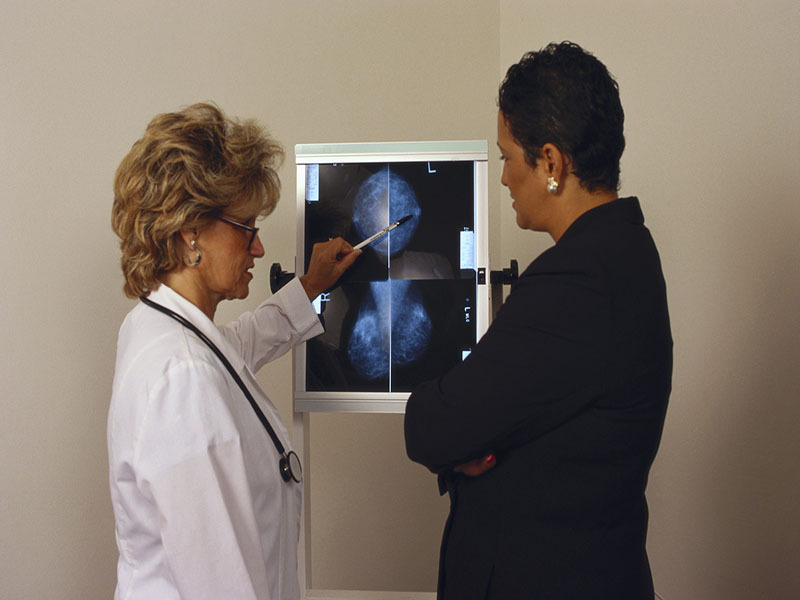 WEDNESDAY, Dec. 2, 2015 (HealthDay News) -- In a finding that suggests a false-positive result on a mammogram may be somewhat more worrisome than thought, a new study says women who get such a result may be at increased risk of developing breast cancer later. "There are a lot of things that increase risk," Henderson said. A false positive "does increase your risk, but it is not increasing your risk to a huge degree. It's another piece to the puzzle of breast cancer risk." Dr. Joanne Mortimer, director of women's cancers programs at City of Hope Cancer Center, in Duarte, Calif., agreed that there is no cause for undue alarm. Rather, she said, women should have a "heightened awareness" about asking their doctor what to do if they have a false-positive mammogram result. The findings may be a case of "over-reading," she said. Those radiologists who have analyzed more mammograms may be less prone to do that, Mortimer added. Reading a mammogram is not a simple task, Mortimer explained. "It's not one single abnormality that is looked at that turns out to be a false positive," she said. Rather, it's an accumulation of suspected abnormalities that may prompt a radiologist to call a test suspicious and ask for more testing. False-positive rates in the United States are higher than in other countries, Henderson said. Among experts who don't advocate annual mammograms, the worry and anxiety produced by false positives is often held up as the reason, along with unneeded extra testing.